One thing you will not be faced with, however, is a difficult learning curve. Opal-RAD offers a user interface consistent with many other common computer programs in use today. The result is a precise, logical, and intuitive set of tools that give you complete control over medical images and data like never before. • View images from any Web-enabled PC. 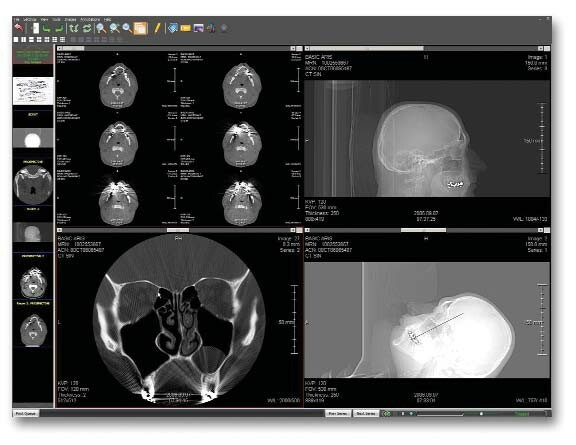 • State-of-the-art DICOM viewer delivers powerful, intuitive workstation functionality with high-resolution multi-monitor support. • Integrated Web-based dictation and voice recognition systems enable report creation anywhere. • Single data repository for RIS, PACS and Web ensures exam delivery for seamless record integration in a clinical setting. • Streaming technology optimizes data transmission based on available bandwidth to eliminate network bottlenecks and speed image delivery. • Multi-modality, multi-vendor functionality and compatibility. • Quality Control (Q/C) functionality. • Push/pull technology for flexibility and speed. • CD burning (from the Web), DICOM routing and DICOM print functions. • Hierarchical Storage Management (HSM) for flexible archiving as data ages. • Display Management allows users to customize the reading experience by automatically learning each users image display preference. • RIS report integration using industry standard HL7 protocols for flexible integration with most other medical information systems. • MIP and MPR on-the-fly. Cloud-based PACS is also available in Viztek's Opal-CLOUD. Opal-CLOUD boasts the same great features and functionalities as Opal-RAD with access anywhere while eliminating hardware obsolescence. • CD burning, DICOM routing and DICOM print functions. 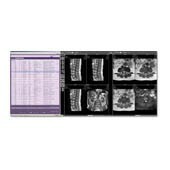 • Cost-effective enterprise-wide orthopedic solution based on a single server that manages complete image distribution and remote data backup. • Tablet and smartphone viewing of both images and reports. 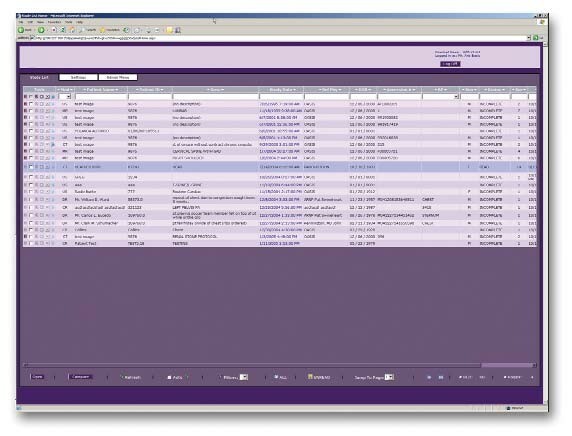 • Full HL7 and Modality Worklist integrates with any EHR, PM, or HIS. • Single workstation viewing of all modality types, including Mammography and PET.
. • Integrated Digital Breast Density Measurement. • Automatic Stitching of X-Rays from any manufacturer's CR or DR.